Not only market: discover and join Mystery & Drolls from all over Europe. 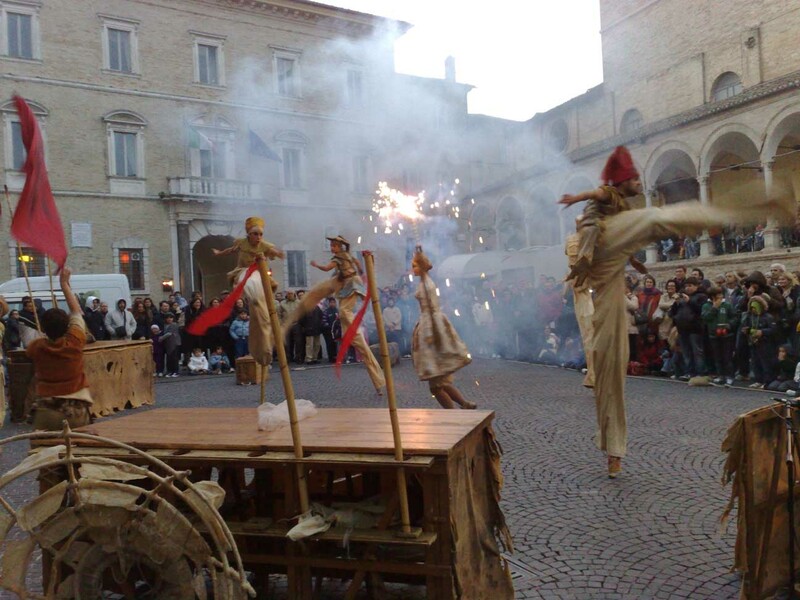 The 2019 edition of the Mysteries & Drolls Festival in the Italian section Certaldo, as well as the 2020 edition in the Belfast section, will host an International Showcase dedicated to the Popular Drama activities, promoting the cultural specificities of each countries adherent to the network in the field of medieval theatre and contemporary performing arts that the old forms still inspire. It will be a unique and interesting opportunity for programmers from all over Europe gathered together to meet the modern clowns, the creators of the popular theatre, the representatives of the organizations that still organize today Mysteries and Sacred Representations in various countries of the continent. We will set up an exhibition hall and all invited institutions will have the chance to show their own work and explain the character of their work. Each of the two editions of the Showcase will run for three days. An exhibition opened to all artists and promoters, with free adhesion, free stand, free services availability and facilitated accommodation. Inside the exhibition area we will organize meetings with each of the artistic realities, with compulsory participation for each invited programmer. The forecast is to be able to accommodate up to 50 artistic institutions. A Program of 20 shows, selected by the partnership of M&D networks, according to a specific call, with companies of various countries which will receive a trip refund proportioned to the distance. The performances will take place in the evening in the M&D Festival, and then will be open to the public. But for these special events the invited operators (programmers) will have a priority access. An Open Stage, programmed in the afternoons, will give the opportunity, to a limited number of artists and companies, to perform in front of a qualified audience of art operators. In the afternoon, the audience of the Festival is usually scarce, so it will not be necessary to ensure priority access to invited programmers. Anyway, they will be requested to attend each at least 50% of the Open Stage events. Each of the three evenings of the International Showcase will see the debut of the co-productions staged at the locations of the Spanish, Polish and German partners. The Italian edition of the Showcase, scheduled in 2019, will host the simplified versions of the 3 performances, whilst in 2020, in Belfast, the final versions will be performed. All artists involved in the staging of co-productions will be invited to attend the events. It is an international meeting between artists, companies, programmers and training centres, aiming to define common strategies for the re-evaluation of popular performing arts. This meeting will also be opened to members of the Scientific Committee of M & D, who will have the opportunity to explain the contents of the research, discuss with the operators the problems that have emerged regarding the state of health of the sector's activities, and progress in the data collection in cooperation with partners organizing the M&D Festival. All artists and companies with stable activities in EU countries and working in the sector of street arts and urban happenings may take part in the showcase, as well as the EU Festival organizers. They will necessarily have to register on the M&D web platform. Artists willing to attend the showcase must upload a video of the show to be performed. 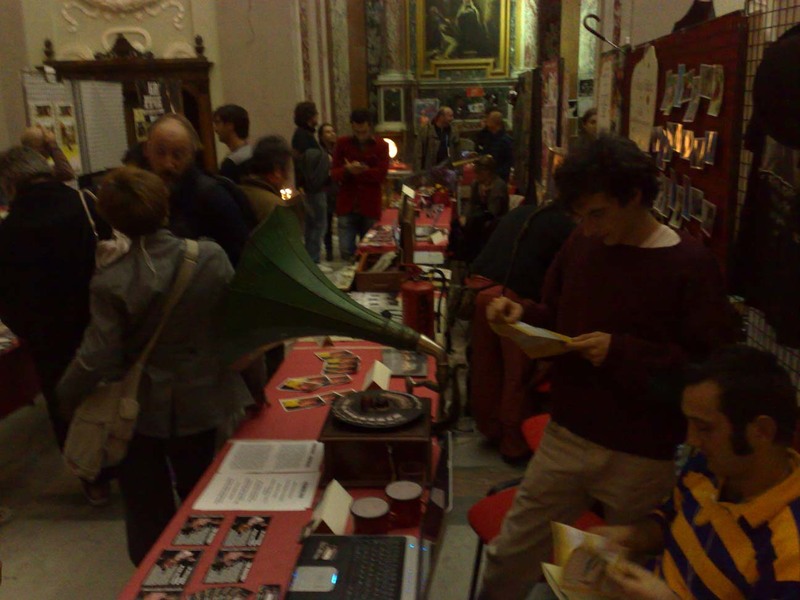 The showcase accommodates at least 20 organizers of EU Festivals located outside the Italian territory at its own expense (flight and accommodation). To 20 Italian festival representatives, the showcases grants meals and accommodation. The showcases hosts 20 selected groups and grants them a “refund token” proportioned to the distance, as well as accommodation to all members, encouraging participation from decentralized areas. Performing in the Off Program is permitted for a max of 20 productions (priority for highest ranks in selection). Companies not inserted in the official program can use the showcase stalls for as long as there is available space. The selection will be made by M&D partners through an online voting procedure and will be based on evaluations of videos uploaded by companies. The selection will take into account the geographical origin of the shows and the desirability for a company to be selected will be facilitated if the country is poorly represented in the showcase. Instead, the coefficient for shows of countries that are overwhelmingly represented will be adjusted slightly downwards. The showcase is an initiative of cooperation, as well as an action capable of stimulating the market. The hosted programmers, in fact, undersign a special agreement in which they commit to insert in their respective programmes, at least two performances among those present at the M&D Showcase. The programmers will be absolutely free to choose the artistic product in which they are interested, with no restrictions concerning the nature and size of it.